“The Hum" is the generic name of a low-frequency noise that has attracted media attention many years ago. This particular noise has disrupted the daily life and the peace of the inhabitants of some cities in the world such as Woodland, England; Taos, New Mexico; Bristol, UK; Kokomo, Indiana U.S.; the Big Island of Hawaii and Auckland New Zealand, just to mention few locations. The Hum sounds like a diesel engine idling that produces a rumbling vibration in the walls and windows, people described this noise as a constant low-pitched rumbling noise with no discernible source. They also reported that it caused stress, sleeplessness, headaches, nosebleed, dizziness and diarrhea in some people. The Hum is not audible to all people, only small number of people have heard it and they have been diagnosed with tinnitus in most cases. Scientists are perplexed because they couldn’t determine the origin of this low-frequency noise, however, they have claimed that it must be the sound of plate tectonic movements or a low-frequency humming produced by the Earth, other people even said that it’s the sound of the apocalypse, or caused by the HAARP project, and everything you can imagine. This phenomenon became known at the beginning of the decade of the 90's, when news from the town of Taos, New Mexico, began to impact the U.S. media. 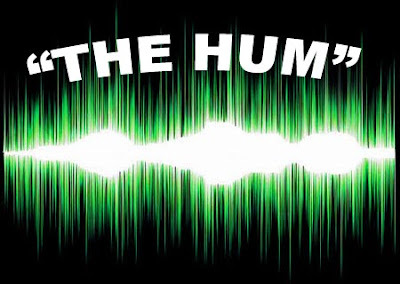 However, this "Hum" was popular during the 70’s to 80’s as well in different areas around the globe. The Hum was a worldwide unsolved mystery up until now. Interlocutor: Master, We appeal to you, so that you remove any doubt about the strange noises that some people are hearing in many places of the planet, so far no one could determine the origin of this sound known as “The Hum”. Furthermore, it seems that it’s not a recent sound. Ruanel: No, it’s not a recent sound... There is a very ancient civilization that comes from thousands of light years away, their technology is advanced, but in the hundreds and hundreds of years (I mean Earthly years) that they are in the outer space, their technology has been stopped because they are not settled down on a planet and the source of such technology is only found in the 7 mothers ships they use to travel through the cosmos. Interlocutor: That’s clear... What is the size of each mother ship? Ruanel: They are very large... Each mother ship has the size of several kilometers long. Interlocutor: Are these mother ships orbiting our planet? Interlocutor: And How long are they are here for? Interlocutor: But the sounds are produced more or less recently? Ruanel: No, the sounds were produced throughout decades. Interlocutor: But, What is the source of these noises? Ruanel: They are repairing their ships. Interlocutor: So, instead of repairing their ships on the ground of a planet, they are repairing their ships while orbiting... Is that so? Interlocutor: You said that they are here for around 80 years ago... Are you sure of this time? I ask it to be sure if it's the right number. Interlocutor: So, specifically, Is it simply the sound produced by the tools with which they are repairing their mother ships? Ruanel: Yes, the sound comes from the different ships that are orbiting the planet. Interlocutor: How many kilometers are they from the surface of the Earth? I ask it because it seems that nobody can see them. Ruanel: They are at a long distance, so that they could be spotted, between 37 and 57 km away, and they also have anti-radar technology. Interlocutor: Do these aliens have their own planet? Ruanel: Yes, but their planet is located at thousands of light years away, and now they have no contact with their world, because, I insist, their technology has become obsolete. Interlocutor: But, Could they return to their planet if they wanted to? Ruanel: They could return to their planet, but it would take a long time. Interlocutor: Can you locate their planet? I mean its name. Ruanel: …It’s Anion 3... A planet with a yellow star, located at 4700 light years from Earth. Interlocutor: What are they doing orbiting our planet? Are they researching? Ruanel: No, they simply passed by the solar system, and they considered Sun 3 the most suitable planet to orbit. Interlocutor: Did they land on our planet at some moment? Ruanel: No, because they are not interested on that... These aliens are just looking to explore other planets that have possibilities for life, but they are looking for uninhabited planets or planets with inhabitants who are working with rudimentary tools. Interlocutor: Are you referring to primitive people? Ruanel: That's correct... They do not seek to dominate anyone; they just want to settle down on a planet. Interlocutor: How long will they take to finish with these noises, which are quite annoying? Ruanel: I don’t know, because they have many things to repair yet. Interlocutor: Did I really hear that sound? Ruanel: Yes, you heard it. Interlocutor: I remember that it was a quite annoying sound and I couldn’t determine if it was coming from inside of my head or from outside and only I heard it... I recognize that for a while I went a little crazy because I didn’t know where it came from... Are these aliens aware that they are causing inconvenience to the inhabitants of our planet? Ruanel: They interpret that the sound is minimal and that the discomfort is almost inexistent ... Thus, they interpret it. Interlocutor: But in reality it’s not like that... Here I have a report saying that some people have had headaches, nosebleeds, sleeplessness... Haven’t these things anything to do with the noise? Ruanel: Yes, they have to do with it because these problems are caused by these vibrations. Interlocutor: I understand... How are these aliens physically? I mean if they are like humans or humanoids. Ruanel: They are humanoids, very similar to the Grey aliens, but with brownish color. Interlocutor: As you said previously, they have 7 mother ships orbiting the Earth... How long is each one? Ruanel: They have a length of 3.4 km. Interlocutor: I believe that two miles in length means that they are quite big... Are they circular? Ruanel: No, they are elongated. Interlocutor: Could we see these ships from the surface of the Earth if we looked at where they are? Interlocutor: And obviously we can’t do anything against these noises, Can we? Ruanel: That's right, there's nothing you can do about it. Interlocutor: I thought so... How many crew members are there in each ship? Ruanel: In each mother ship there are thousands of crew members. Interlocutor: In total, How many are they? Interlocutor: In total or in each ship? Ruanel: In total, I'm talking about the 7 mother ships. Interlocutor: Since you said that they don’t land on the planet, I have to assume that they are fully self-sufficient... Aren’t they? Interlocutor: Don’t they even need to extract water from lakes or rivers? Ruanel: No, they don’t need to do that... In every solar system there is ice enough to extract water from. Interlocutor: Are these aliens permanently here or they leave and return once in a while? Ruanel: In this moment they are permanently here. Interlocutor: Is there anything else to say about this issue? I ask it because it seems that everything was said... I mean, basically, of course. Ruanel: No, there is nothing more to say except to reiterate that I don’t know how long they will be here, and that the delay of their work is due to their technology which has become somewhat obsolete. Interlocutor: But I guess that with their advanced technology they could have avoided making so much noise... Am I wrong? Ruanel: Their technology is far underdeveloped compared to the technology in other worlds. Interlocutor: Excuse me if I’m repeating myself; Is there anything we can do to safeguard ourselves against these ailments caused by the noise they provoke? I mean headaches, nosebleeds, insomnia, etc... On the other hand, it seems that not everyone hears these noises. Ruanel: I repeat. There is nothing you can do about it... There are low-pitched sounds that are not heard by human beings and even ultrasounds that can affect human DNA. I repeat that they do not do it on purpose and they deem that the sounds of the repairs are insignificant. Interlocutor: But how is it possible they don’t know? Being so advanced, they should know the damage they are causing. Ruanel: Don’t forget that they are embodied beings and, as such, they are also fallible. Interlocutor: I understand... What progress they have compared to human beings? For example, Do they travel through time? Ruanel: No, they don’t travel through time. Interlocutor: But, How many years would they be advanced compared to us? A thousand years, ten thousand, twenty thousand years? Ruanel: It depends on how much progress the world will make in a hundred years. Notice that in the twentieth century, the world has advanced much more than all the previous centuries. Ruanel: No, not at all, it was simply your imagination. Interlocutor: Do you agree that we conclude the session here? This entry was posted at Friday, January 20, 2012 and is filed under Extraterrestrials, Mysteries and Enigmas . You can follow any responses to this entry through the .